For Tabish Jiwani, the words of the Persian poet Rumi reveal a deep truth. Drawing on her childhood in Uganda, Tabish channels her “river” into her role as a workplace team captain for the World Partnership Walk. Tabish moved to Canada for university in 2013, leaving behind her friends and family in Uganda. Today, she lives in Edmonton, working as a commercial associate for HighStreet Insurance Group. 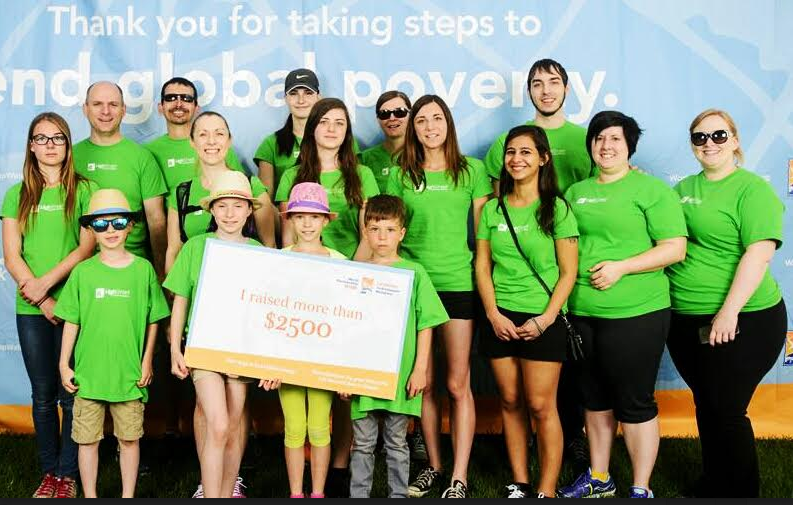 In 2016, Tabish banded together colleagues from Edmonton’s HighStreet Insurance Group to raise $5,000 to fight global poverty through the Walk. In 2017, they are aiming to double that amount. Before Tabish moved to Canada, she saw the impact of AKFC’s work to improve quality of life in the developing world. Tabish volunteered with the Madrasa Early Childhood Programme in Uganda, an initiative supported by AKFC and Global Affairs Canada, providing crucial preschool education for vulnerable children. “I believe we all have a responsibility in this world to help one another,” says Tabish. In many workplaces, employees want to make a difference in the world – but often don’t know how they can contribute. The World Partnership Walk offers a channel for businesses and organizations to motivate their employees, building teamwork and showing they care. For Tabish, being a workplace team captain has also spurred personal growth, networking opportunities, and the chance to mobilize change— first by educating her colleagues on crucial global issues, and then by inspiring them to empower communities living in poverty by raising funds. Tabish attributes part of her team’s success to the Walk staff and volunteers who she describes as walking by her side as she built her team. “They held ‘lunch and learn’ sessions, educated my work team, and gave them a better understanding of what the Walk does,” she says. Having found volunteering and raising funds for World Partnership Walk through her workplace a rewarding experience, Tabish encourages others to start a team in their workplace. Start a workplace team today! Join hundreds of workplace team captains across Canada who are dedicated to making a long-term impact on the lives of the most vulnerable people in the world. Inspire your colleagues to come together, step forward, and end global poverty!